Choose from a large selection of Bayou Classic outdoor propane burners/cookers including single propane burners, double propane burners and the triple propane burner with a BTU range of 55,000 to 210,000.The single propane burner is also available in a stainless steel model. Bayou Classic’s outdoor propane burners offer the largest cooking surface as well as the capability to support pots up to the 162-quart stockpot. This makes these Bayou Classic propane burners ideal for the home brewing, canning, and outdoor cooking sectors. While these outdoor propane burners are able to handle the largest stockpots, they are also portable and can be used for camping, tailgating, rving and trail riding. You can be assured we have the propane burner you need to boil crawfish, boil lobsters and steam crabs and clams. 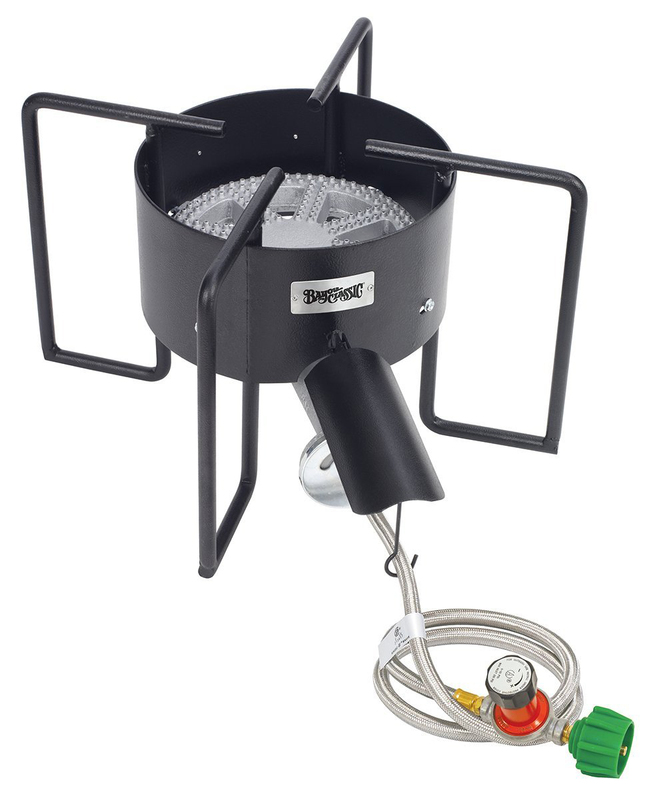 Bayou Classic outdoor propane burners can be used with all our cooking accessories. Bayou Classic outdoor burners combine efficiency, safety and functionality to provide the ultimate outdoor cooking experience. 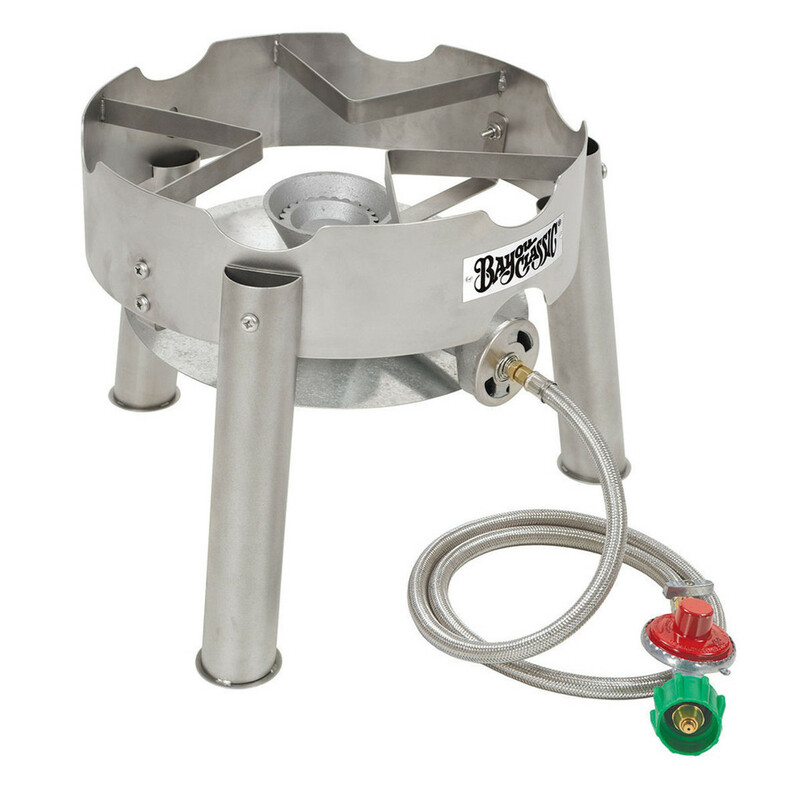 Single propane burners, double propane burners, triple propane burners, banjo propane burners and jet burners by Bayou Classic offers all the features you are looking for in a product.